This beautiful arrangement with its varying tones of pink will send your message of hope out to all those at the service. 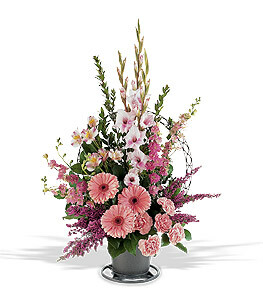 One funeral basket with handle is delivered with pink alstroemeria, carnations, gerberas, gladioli, heather and larkspur. Page loaded in 0.5314 seconds.